As a CEO or business leader, you’d think you’d be happy. By some standards, you’ve achieved great business success. You have the power and responsibility to lead your organization or department. But for some, reaching this pinnacle of your career can leave you feeling restless and unfulfilled, and you may not understand why. One of my clients, a regional CEO for a financial institution, knew her organization needed change through leadership development, but she couldn’t get buy-in from her boss for that or for any other ideas she proposed. Over time, she discovered that she was not able to use her abilities to make the changes she knew were necessary. She felt angry, stuck, frustrated and dissatisfied. In some positions, the answer to job unhappiness could be as simple as quitting. But as a CEO or senior leader, your options may feel limited. After all, this position may have always been your dream. To give it up may feel like — or worse, be viewed as — defeat. Then there are the practical issues. Finding a job with a similar salary or responsibility is challenging. You may have relocated family and had everyone sacrificing for you to take advantage of this opportunity. Millennials in the workforce want to feel connected to their purpose, not their salary. While this desire may not be a new phenomenon, millennials are the first ones to demand it as a generation. But this need is universal — whether you’re a millennial CEO or not — and it’s completely natural. If you know of psychologist Abraham Maslow’s hierarchy of needs, you’ll recall that the pyramid describes how people are motivated, starting with survival needs, moving to psychological needs, leading to accomplishment and achievement. In translating Maslow’s pyramid to a business environment, as millennials, CEOs and everyone in between begin to move up the hierarchy, their needs change. Once the basic and psychological needs are fulfilled, other requirements develop, such as feeling like you’re making an impact, fulfilling your purpose or serving a greater good over yourself or your company. • Find fulfillment in your current situation. • Alter your current situation. • Exit your current situation. Another client of mine was charged with approving or declining mortgage loans. From his perspective, each day, he simply sifted through a stack of documents, stamping “approved” or “denied” on people’s mortgage applications. In his words, he was a paper pusher whose job held little value. But as he realized how much making an impact mattered to him, he also realized that every time he approved a loan, he helped to make someone’s dream come true. That understanding helped him connect his desire for fulfillment with the function of his job. Looking at the bigger picture of how your work serves your clients and customers or benefits a greater good can create an increased sense of satisfaction. While some leaders may face push-back when they try to change a leadership culture, others will have success. The movement toward conscious leadership is growing as businesses address the challenges of motivating employees in a knowledge economy. Incorporating conscious leadership into your style focuses your efforts on people — your team, stakeholders, and the people your organization ultimately serves. As in Maslow’s hierarchy, once you’ve addressed your essential needs, you crave a higher level of self-realization. 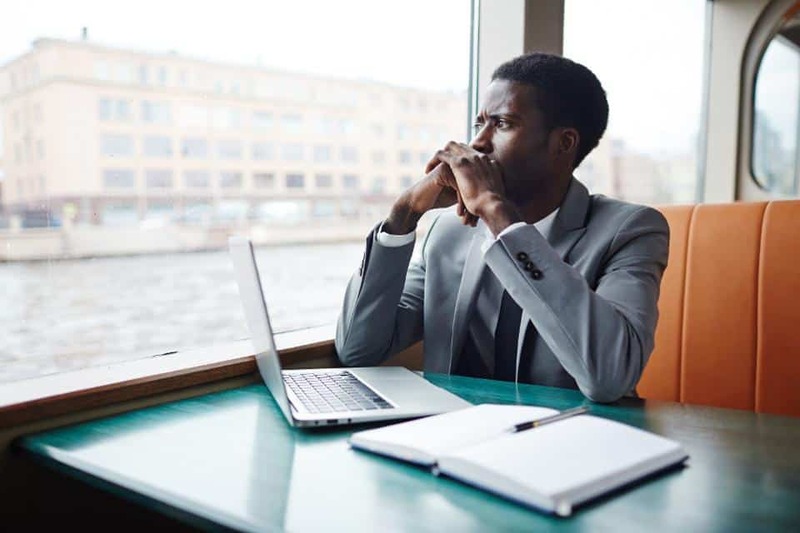 Ways to alter your current situation may include taking on a passion project, participating in a mentoring program, volunteering for a cause that moves you, serving on the board of a nonprofit or looking for meaningful opportunities both inside and outside of your organization. As a leader, create an environment that brings you and your team more joy. From a strict no-email rule over the weekend or while on vacation, to monthly team lunches, to regular one-on-ones with team members, you can make changes that help you and your crew connect more fully. Sometimes, changes aren’t possible or are simply not enough. At some point, you may need the courage to step out and say “no more” to find a completely new environment that feels more fulfilling and aligned with who you are. That may include creating a startup or a foundation or working at a more conscious-minded organization that provides the meaning you’re seeking. Although the idea of quitting may still be difficult, with a deeper understanding of your unmet needs, you are better prepared to find an environment that brings you greater satisfaction. Being a CEO has many benefits and challenges. If those challenges leave you feeling empty, it’s time to rethink what matters most to you and develop a plan to achieve the fulfillment you desire and deserve.